According to new research commissioned by OpenText’s Liaison Technologies and Forrester Research, 80 percent of enterprises are currently upgrading or planning to upgrade their data integration technologies. A new report entitled Digital Business Demand Agile Integration sheds light on how organizations are tackling data management challenges, namely regarding the integration of data from complex sources and how that is impacting their digital transformation efforts. Forrester’s research is based on a survey of 158 respondents with responsibility in data integration buying decisions. Of the 158 responses, more than 50 percent reported interest in upgrading their data integration to a managed services approach. According to Forrester, the market for these tools is growing at a rapid rate due to new pricing models and cloud solutions that avoid license and hardware investments. iPaaS solutions can also be deployed faster than legacy EAI and SOA middleware, and this is helping to support the pace of development cycles, governance, and digital transformation. 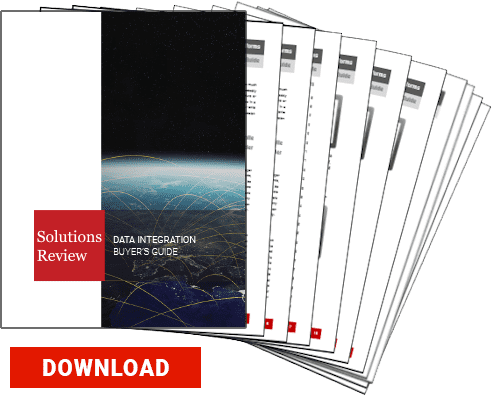 Organizations are planning to update their data integration technologies in large part to meet the demands of a growing number of data volumes and sources. 80 percent of those polled confirm this, while another 65 percent report that the number of applications they are using in their businesses has increased. This highlights the need for more developed application integration strategies and tools as well. In fact, it was revealed recently that organizations are losing millions due to this challenge. In a 2014 study, it was revealed that enterprises each ran an average of 508 applications. That number has undoubtedly increased over the last few years as businesses become aware of tools that can add value. There remains a crucial problem, however. For the most part, applications are not designed to communicate independently with one another. We encourage you to read the report in full (no registration required). For more, discover three emerging iPaaS use cases you need to know. Next Next post: Data Integration vs. Data Management; What’s the Difference?